A few years ago, Bethnal Green was a little-known stop on the Central line, beyond the lights and sounds of bustling Liverpool but not quite in that “not really London” zone which starts around Stratford. The inimitable E. Pellicci and White Horse Kebab House (boasting its ranking as one of the ‘Top 5 Kebabs in London’) were its only true culinary delights and – whilst still singularly spectacular in their respective fields – are not exactly what one would call gourmet. Today however is a very different story, with new bars and restaurants shunning a Shoreditch in its death throws and popping up in B.G. left, right and centre. Therefore, we decided to come up with our definitive list of the best new bars and restaurants in Bethnal Green. 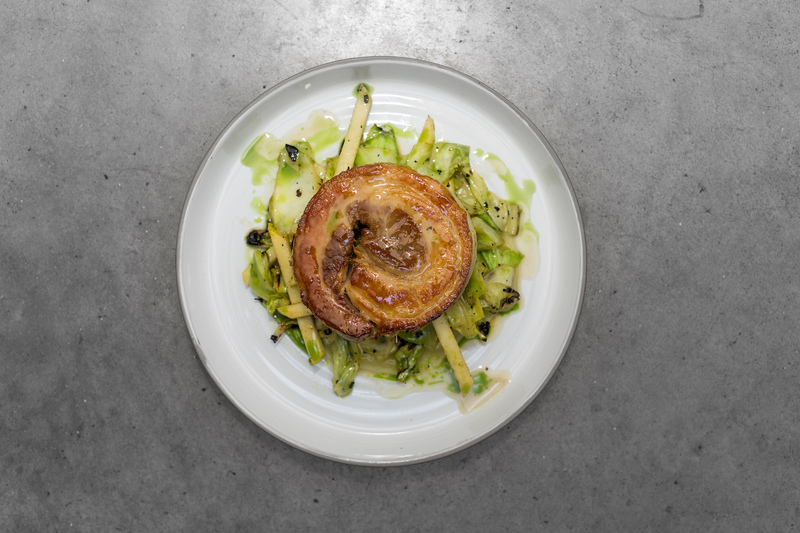 Located in the much-loved railway arches on Paradise Row, this second offering from wine aficionados Michael Sager and Charlotte Wilde is a lot more food orientated than its older sibling. Chris Leach, formerly of Kitty Fishers in Mayfair, joined the team mid-February of this year, bringing with him his signature style of grilling simple ingredients over wood to maximise their flavour. This stripped-back approach has gained him attention in the industry with the Evening Standard’s London Restaurant Festival naming him as the ‘next top chef in London’, and 2016 Tatler Restaurant Awards dubbing him one of the Rising Stars. Dishes include a starter of Cured Sea Bream, Walnuts & Blood Orange (£9), mains of Glazed Pork Belly with Hazelnut Mash & Cider (£17.50), and dessert options such as Dark Chocolate, Smoked Cream & Praline (£6) and Pear & Almond Tart (£6). Backed by the prolific Jason Atherton, Chef Lee Westcott’s first solo venture opened to a frenzy of praise in May 2014. Located in the Town Hall Hotel, in the room which was once a typing pool, the restaurant is dominated by an open kitchen and decked out in a manner which stays true to the building’s original 1910 features. Previously known for running Atherton’s 22 Ships and Ham & Sherry in Hong Kong, and working alongside the likes of Tom Aikens, Rene Redzepi and Gordon Ramsey, Westcott’s challenge was to set up his own kitchen which was uniquely him. Whilst he has adopted from his mentors – his Aikens-esque reverence for vegetables being one such example – the seasonal, modern European fare on offer is very much his own style, with creativity and wit at its heart. Guests can choose from a five-course tasting menu (£65) or an à la carte menu with either two or three courses. Notable dishes include Crispy fish skin, smoked cod & oyster, his signature Yeasted cauliflower, raisins, capers & mint, and the beautifully British dessert of Yorkshire rhubarb, tarragon, sorrel & milk. Just across the corridor from The Typing Room sits Peg + Patriot – the brainchild of cocktail guru, Matt Whiley, known in the industry for consulting on bar menus at Simon Rogan’s Fera and Tom Sellers’ Story. P+P is furnished in way that fits with the East London aesthetic whilst maintaining a very distinct character. Buster + Punch filament bulbs hang from the ceiling, illuminating the metro wall tiles by the bar. Stools and laid-back seating have been elegantly designed with varnished wood and black leather. In the evening, tiny tea lights work alongside dimmed bulbs and exceptionally friendly bar staff to create a relaxed and intimate atmosphere. The real stars however are the drinks! Matt’s latest menu has been inspired by world-renowned chefs so that imbibers can choose concoctions such as a Heston-esque Jam Tart (Caramalised white chocolate bourbon, shortbread distillate, waxed raspberry, and sugar syrup), and the Jiro-Ono-inspired Melon (Honeydew Nikka Coffey Grain whisky, unsalted yuzu juice, ginger pickle, pickled ginger syrup and burnt oak aerosol). 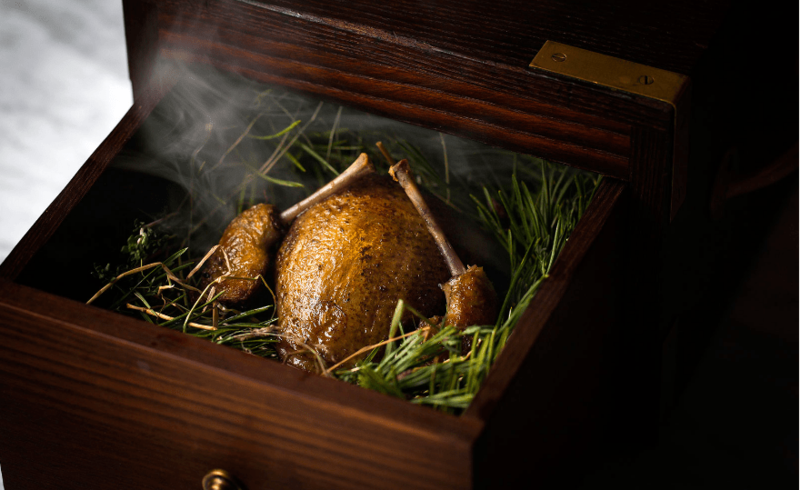 Other favourites include Foie Gras, Plum, Cauliflower and Black Pudding, and all (apart from Jamie Oliver’s Sweet Potato – which we do not recommend) are a mere £10. The pop-up is dead. Long live the dual-purpose venue! Whilst its title may not be as catchy, these eclectic beauties are flooding the capital. Perhaps it’s due to the rent hikes, perhaps just because, well why not?! Either way, spaces what have more than one function are the future, and The Natural Philosopher is one of our favourites. A Mac Repair shop by day, an underground cocktail bar by night, this is a niche establishment where location really is everything. Situated on Hackney Road next to a bicycle repair shop, what can only really be described as an indoor jungle (which apparently sells plants if you can make your way through the thickets), and two very East London gay clubs, this is a discreet little den for people in the know. The décor is Victoria-eccentricity-meets-vintage-geekdom. Whatever it is, it works, and the drinks aren’t bad either with the classics from £8.50 sitting alongside signature cocktails such as the Reverse Sugar Cane (Zacapa 23 infused with tahini paste; Port; lime; pear; demerara sugar; mint; soda) and 1942 (Don Julio Reposado; Aquavit infused with Sencha Tea; Demerara Sugar; grapefruit bitters) from £8.50 to £11. 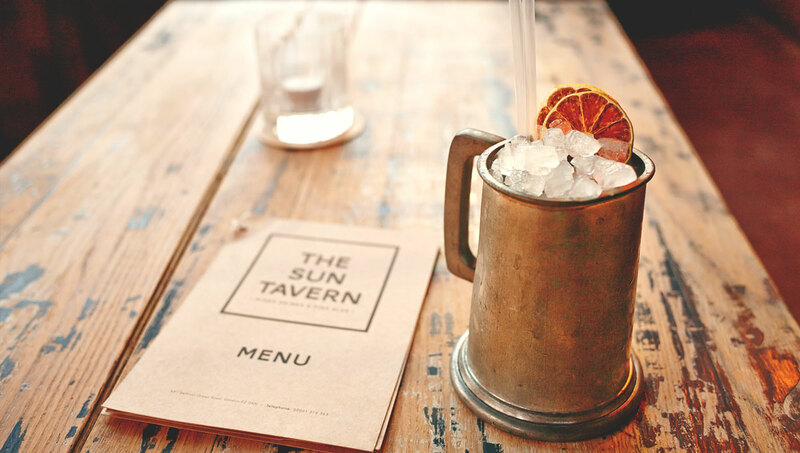 Whilst there will be many bemoaning the gentrification of the once East London boozer, The Sun Tavern – a cocktail bar in a 1850s ex-pub – is not to be scoffed at. Run by the team behind the Discount Suit Company and still sporting a faux-grubby, closed-off exterior which will make those unfamiliar with the area think twice before venturing inside, the tavern is a “locals” bar for the new BG crowd. A long wooden, copper-topped bar lined with leather-clad bar stools sits along one wall whilst the rest of the space is decked out with banquette-style seating. It’s not a venue for those with poor eyesight as punters quite often have to squint at menus lit largely by tealights. However, if you do manage to suss out what you want, the tipples on offer are worth it. 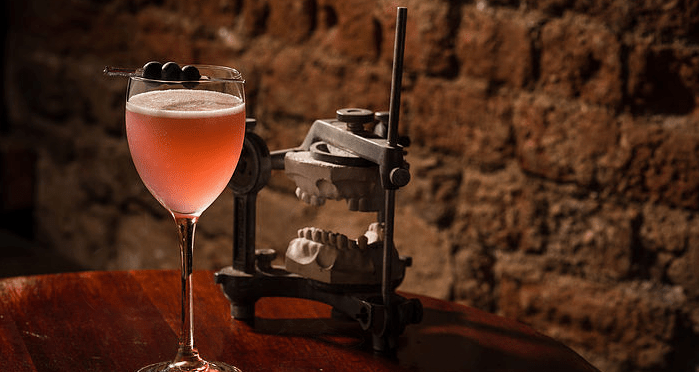 The roster is made up of punch cocktails & classic mixed drinks, with a selection of Irish whiskey, poitín, and fine ales from some of London’s finest handpicked breweries. Our favourites include the The Sherwood (Pisco, Ruby Port, Lime Juice, Beet & Forest Shrub) and the division Red Haven (Blended Scotch Whisky, Ruby Port, Nardini Rabarbaro Amaro & Oak Bitters), both a London bargain at £7.50.